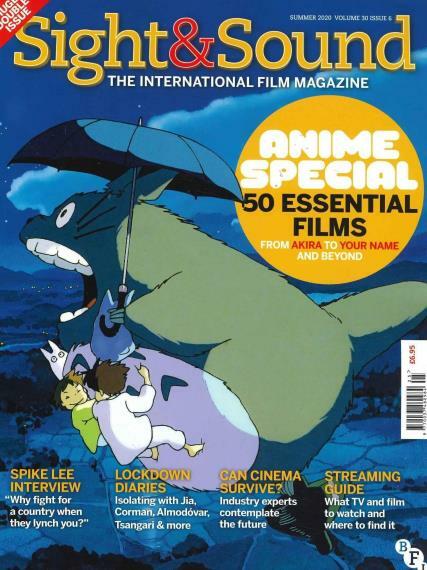 Sight and Sound is a British monthly film magazine. Sight and Sound makes sure to ask a group of international film professionals every decade to vote for the film that they think to be fitting the title of the best one of all time.A list of top ten movies is provided by the critics, the magazine has invited from among the finest directors in the world to take part in a different poll. These measures ensure that the best of the minds creating cinema have their ideas and reviews shared with the audience through this magazine, enhancing the status and brand-value of Sight and Sound among its audience in turn. A list of top ten movies is provided by the critics, the magazine has invited from among the finest directors in the world to take part in a different poll. These measures ensure that the best of the minds creating cinema have their ideas and reviews shared with the audience through this magazine, enhancing the status and brand-value of Sight and Sound among its audience in turn.The magazine ensures to review all of the film releases of a particular month including those too which have a limited release unlike the ordinary magazines which focus only on the films with a general release. The magazine ensures to review all of the film releases of a particular month including those too which have a limited release unlike the ordinary magazines which focus only on the films with a general release.